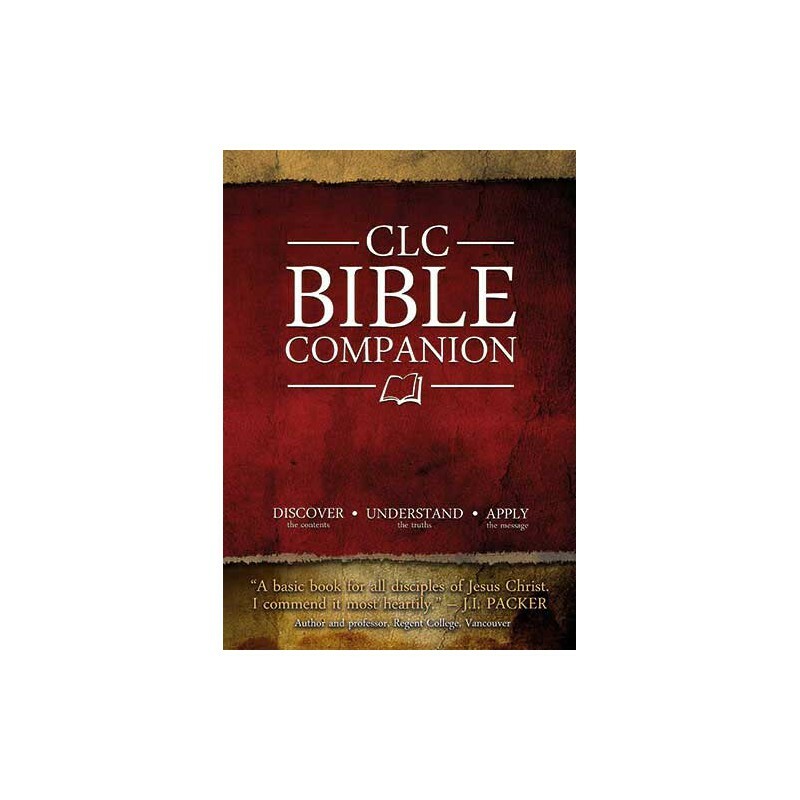 The CLC Bible Companion is a truly unique tool for exploring and learning the Bible as well as teaching biblical concepts.This teaching resource is designed to assist Bible students as well as those who teach with a comprehensive approach to discover and learn the Bible. 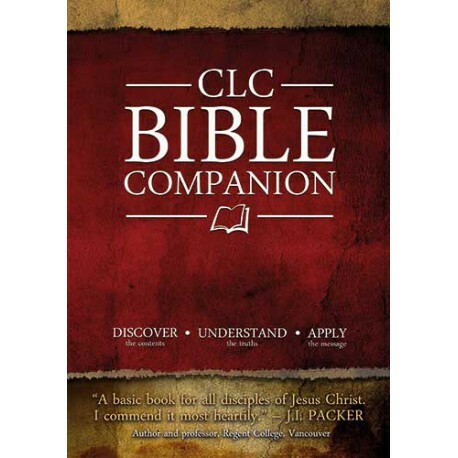 The CLC Bible Companion is a truly unique tool for exploring and learning the Bible as well as teaching biblical concepts. This teaching resource is designed to assist Bible students as well as those who teach with a comprehensive approach to discover and learn the Bible. Students and teachers grow in understanding biblical truth in a way which enables effective communication of the message of the Bible. a devotional source for personal and study group spiritual encouragement. Knowing Jesus: a guide to the person of Jesus Christ. The Bible Book by Book: an overview of the essentials of each book of the Bible, giving a summary, an outline and the key teachings, plus application to work out its relevance for today. Bible Teaching: an exploration of the essential truths of Christianity, such as God, Jesus Christ, the Holy Spirit and Humanity, in a clear and methodical way, to lay a solid foundation for your Christian life. Discovering God’s Way: teaching on developing the spiritual disciplines to go deeper in your Christian faith. Living the Christian Life: teaches and shows how to work out and apply the message of the Bible at every day and at every stage in your Christian life. Resources for the Journey: provides a listing of key themes with Bible references, a guide to using the teaching in this book on PowerPoint, and an index to the book. Throughout the CLC Bible Companion your learning and teaching is enhanced with stunning maps, timelines, outlines and other full-color info-graphics. Take a moment to watch this introductory video to see the quality of visuals* you receive with the CLC Bible Companion. Please note: this electronic version includes the maps and charts in the original print version and a selection of captioned photos used for illustrating locations and other historical and cultural items. For larger viewing area, start the video and click the icon for 'full screen' viewing at the bottom right of the video viewer. Press the escape (Esc) key to return to your regular screen view. It takes approximately 20 seconds for the video to adjust resolution when changing to full-screen mode. As a special bonus in the PC Study Bible electronic version, map locations are topically tagged to all other Bibles and reference works in your installed library. Teachers receive another special bonus in professional, publisher-produced PowerPoint slides to use in teaching through the CLC Bible Companion. Note, PowerPoint slides are available at www.clcbiblecompanion.com under the downloads tab. It all adds up to a winning resource for your own growth or that of a friend or family member you may be spiritually mentoring. Don’t wait to discover the combined study power of the CLC Bible Companion as a PC Study Bible Add-on**. *All maps, charts and info-graphics are included and linked to the corresponding text sections. Environmental photos, as used in the published version, are not included. **Each Biblesoft add-on comes complete with a PC Study Bible Lite version to access the add-on content without a pre-installed PCSB library.